A heavy duty ranging line specifically designed for the construction industry, featuring a lockable handle to secure the line at the desired length. 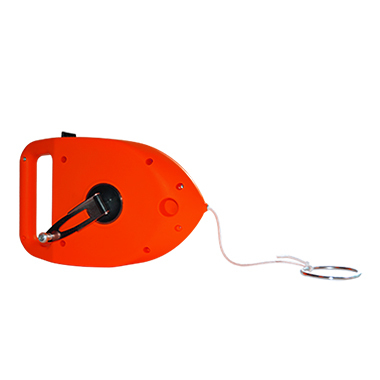 Yellow polypropylene body with easy grip handle. 3mm braided line for added strength.